Local man for the rural countryside The photographer labeled this picture "country man." The local man is carrying something on his back and is most likely a laborer. 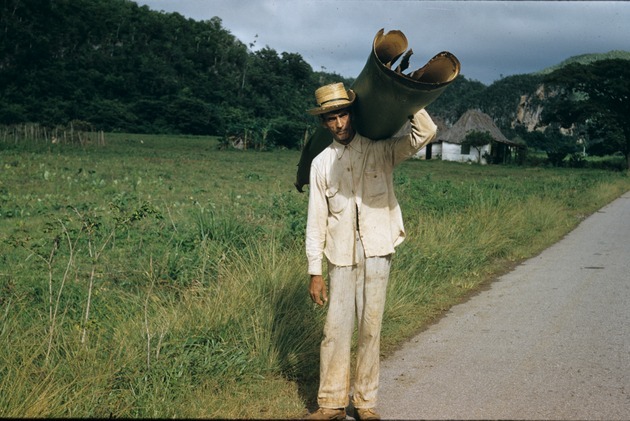 He is walking along a paved walkway in the countryside and wearing a typical Cuban straw hat. In the background are bohio huts and hills with a lot of vegetation.